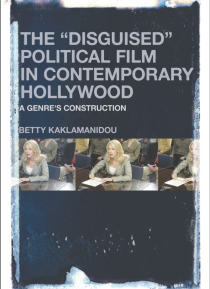 With strict guidelines on methodology and time frame -- films produced after September 2001, and a socio-semiotic theoretical framework -- Betty Kaklamanidou unpacks the problematic terms and ideas that go along with defining a new genre. Kaklamanidou considers a different sub-genre per chapter, placing each group of films in their socio-historical context to reach conclusions about the production… of political films in millennial Hollywood. In shifting the terms of the debate, The "e;Disguised"e; Political Film in Contemporary Hollywood offers a fresh, new approach to the subject of the political film.The political film is not a clearly delineated object but rather an elusive one and resistant to clear boundaries. So, what is a political film? Can The Hunger Games (2012) belong to the same category as Lincoln (2012)? Is Jarhead (2005) a political movie simply because it is set during the Gulf War but with no reference to the motives of the conflict and/or American and Arab relations, and thus in the same group of war films such as The Three Kings (1999), another narrative that focuses on the same military conflict but includes direct commentary to governmental and military strategies? Are historical films by definition political since the majority deals with significant events and/or people in a specific socio--cultural landscape?